Growing gourd plants is a great way to add variety to the garden; there are many types to grow and just as many things you can do with them. Let’s learn more about how to grow gourds, including tips for homegrown gourd care, harvesting gourds and their storage. Gourds are a warm season crop in the same family as squash, cucumbers and melons. Native Americans used gourds practically for dishes and containers as well as ornamentally. Growing gourd plants is an interesting pursuit mainly because there are so many different types from which to choose. In fact, there are over 30 different large, hard-shell gourd varieties and over 10 ornamental varieties. Plant gourds in the garden after the danger of frost has passed. Gourds can be started inside several weeks earlier to give them a head start, if desired. It’s important to plant gourds in a location where they will receive plenty of sunshine and have well-drained soil. Gourds are hardy vines that can take up a lot of space to allocate space according to the variety you’re planting. Provide plenty of rich organic material for gourds and a light layer of mulch to retain moisture. 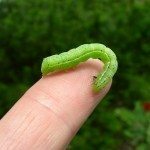 Gourd plants are prone to attack by the cucumber beetle, which can kill the plant. Keep a close eye on the plant during the growing season and use either organic or standard methods to control disease and pest damage. 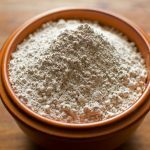 A good sprinkle of diatomaceous earth every couple of weeks is an excellent preventive tool as is companion planting. Young plants require plenty of water, but unless there is very little rainfall, it isn’t necessary to water as much once plants mature. Gourds should be left on the vine until the stems and tendrils begin to brown. Gourds should be lightweight, which is an indication that the water inside is evaporating and the pulp is drying. Removing a gourd from the vine too early will cause it to shrivel and rot. As a general rule of thumb, remember that you can never leave a gourd on a vine too long, but you can take it off too soon. When you cut the gourd, leave enough of the vine or stem that can be used as a handle. Store gourds in a well ventilated, dry space such as an attic, garage or barn or on a drying rack in the sun. It can take anywhere between one and six months for a gourd to completely dry. Wipe off any mold with a very weak bleach and water solution if you are going to store the gourds inside. 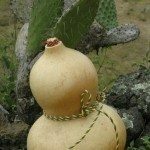 If using for crafting purposes, the gourds should be brown and dry, and the seeds should rattle inside. Read more articles about Gourds.